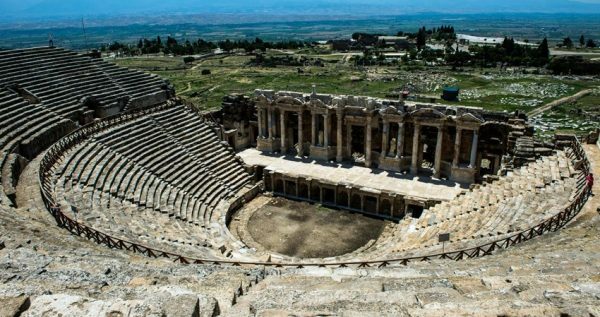 If you are staying in Pamukkale village, Karahayit village or in Denizli city center you can have a wonderful time with our full day tour. 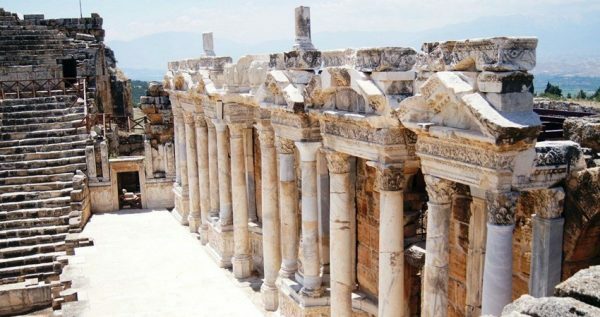 Pamukkale Day Tour offers you the opportunity to explore 2 famous ancient sites ” Necropolis & Hierapolis ” . You can walk on the beautiful white cliffs of Pamukkale or swim in the famous ancient pool of Cleopatra. 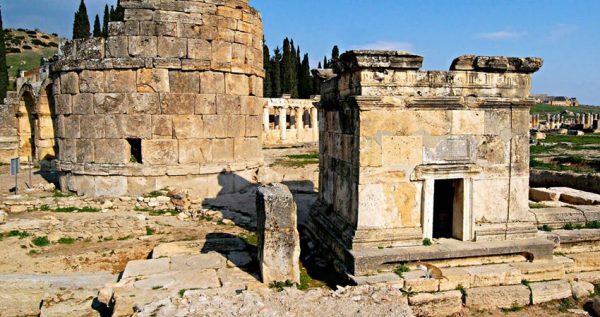 This tour also visits the red spring water sources in Karahayit. 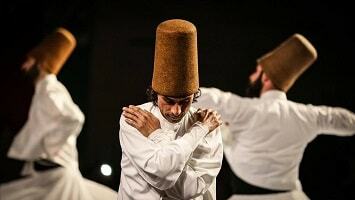 Our tours are well planned and running all year round. 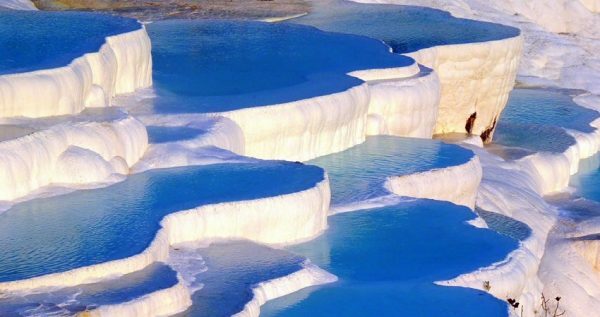 Pamukkale Day Tour has got a free transfer from the hotels in Karahayit and Pamukkale. 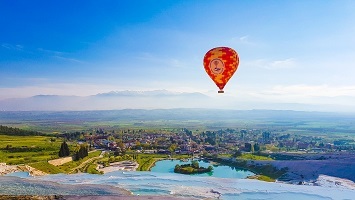 But if you are staying in the Denizli city center, please note that you have to either arrange your own transfer to Pamukkale or you can book our transfer service by paying some small extra fee. 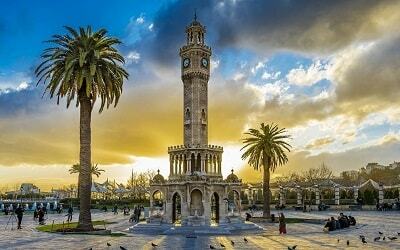 You can also join this tour by booking extra transfer service from Cardak airport. 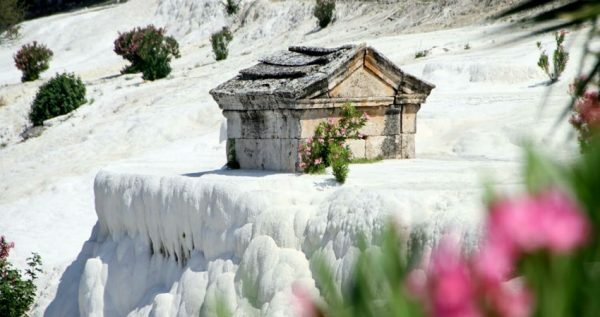 Pamukkale hot springs aren’t only springs in the region. 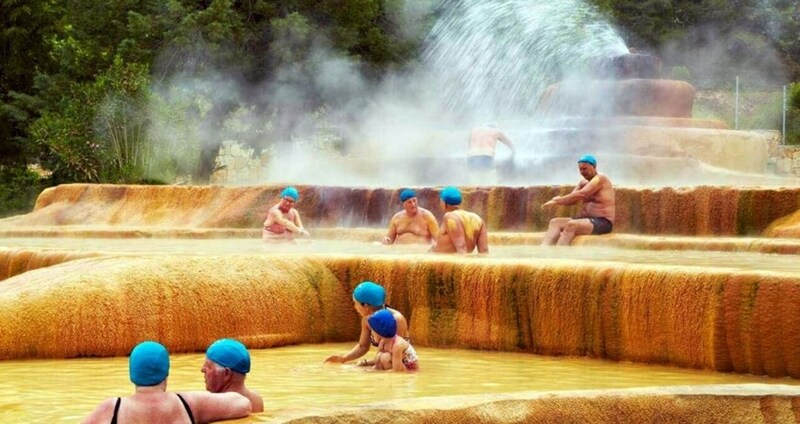 In this tour our first destination will be another hot spring pool in the village of Karahayit. 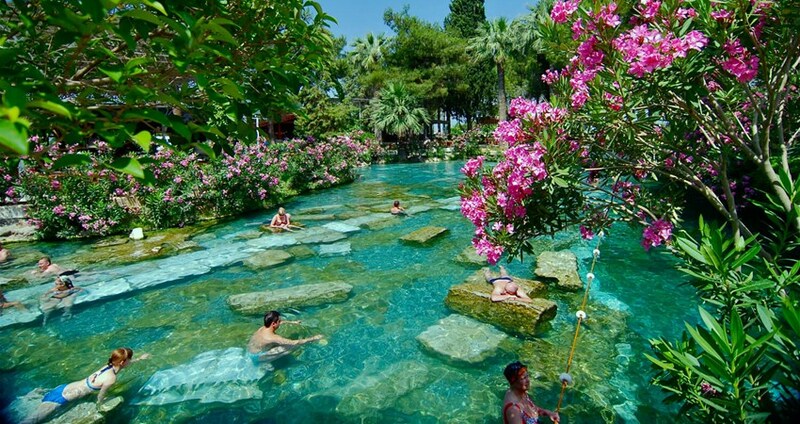 Our tour begins with a visit to Karahayit famous water springs named as red spring. Because of the high percentage of iron content of the water the small cliffs are red in color. You can kick off your sandals and paddle in to the hot waters. Please remember that the water is burning hot . After the visit to Karahayit next stop will be Pamukkale its self. Pamukkale has got two entrance gates north and south gates. 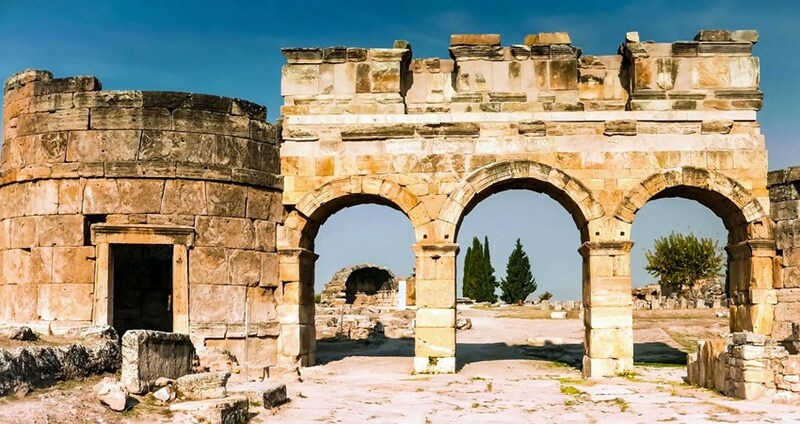 We will enter Pamukkale from the north gate and will have a walk through the remains of the ancient cemetery of necropolis and then the remains of the ancient city of Hierapolis. 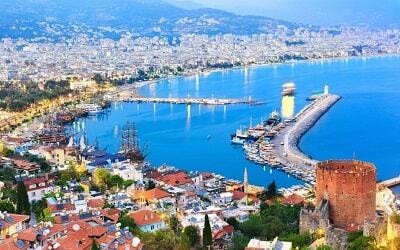 You will visit the following sights with an experienced and licensed professional tour guide. 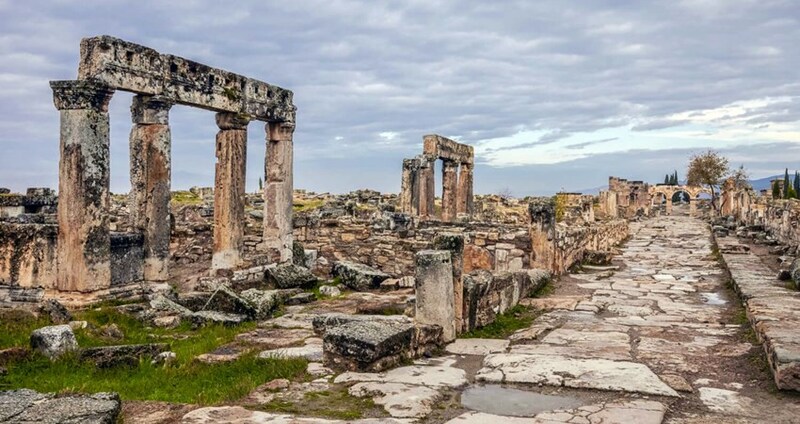 Your tour guide will give you all the necessary information about these ancient sites. 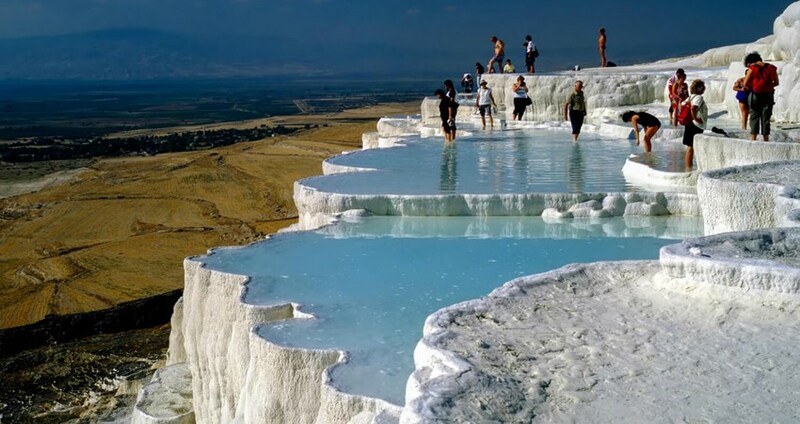 We will have some time also to walk on the white cliffs of Pamukkale or swim in remains of an ancient roman bath. This roman bath where people can swim today is named as Cleopatra’s pool. You can also take walk up the beautiful ancient theater of Hierapolis. 08:30 / 09:00 You will be informed about the exact pick up time according to your hotel or pickup location. Towel, Swimsuits, Hat, Sun Cream, Sunglasses, Camera, Comfortable Shoes. 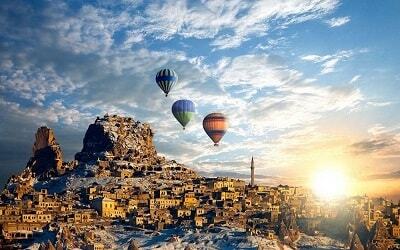 I would like to say thank you to Mr. Mehmet for an unforgettable and very well organized tour in Pamukkale. Without forgetting our guide Semih who made us discover and understand the highlights of Pamukkale. Semih is an awesome who speaks very good English and always ready to answer all your questions about Pamukkale. Totally recommended. Keep up the good work guys. 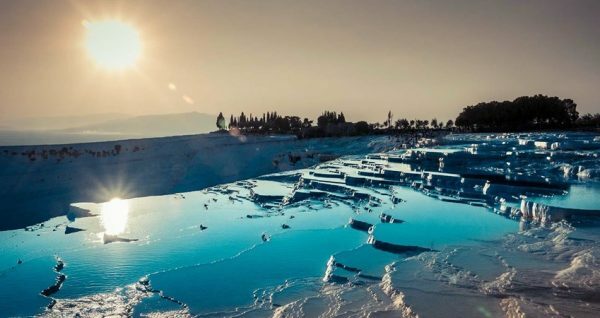 Pamukkale is among 1000 places to see before you die and it’s really worth a visit!!! My Tour was a good choice due to the reasonable price. I had a great tour and found the guide very informative and helpful. 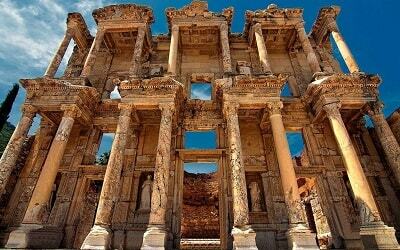 He was very professional with excellent knowledge of Pamukkale history, impressive with on time schedule and have exceeded my expectations. We did a full day tour from our hotel in Karahayit to Pamukkale with Excursion Mania. Definitely worth doing this day tour. You’ll need about 4 hours to comfortably walk around the ancient city of Hierapolis and the traventines. The ruins of Herapolis there are very interesting and the amphitheatre is spectacular. 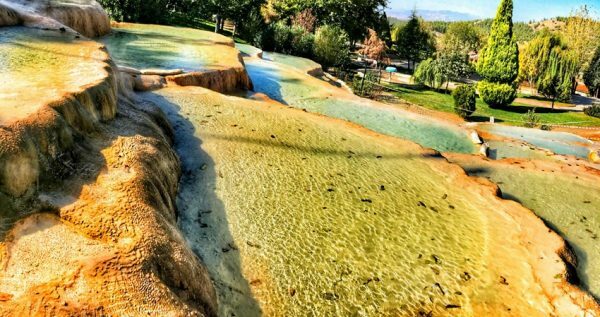 The ancient pool is separate and there is an additional charge to swim in this pool. Overall a great day out.